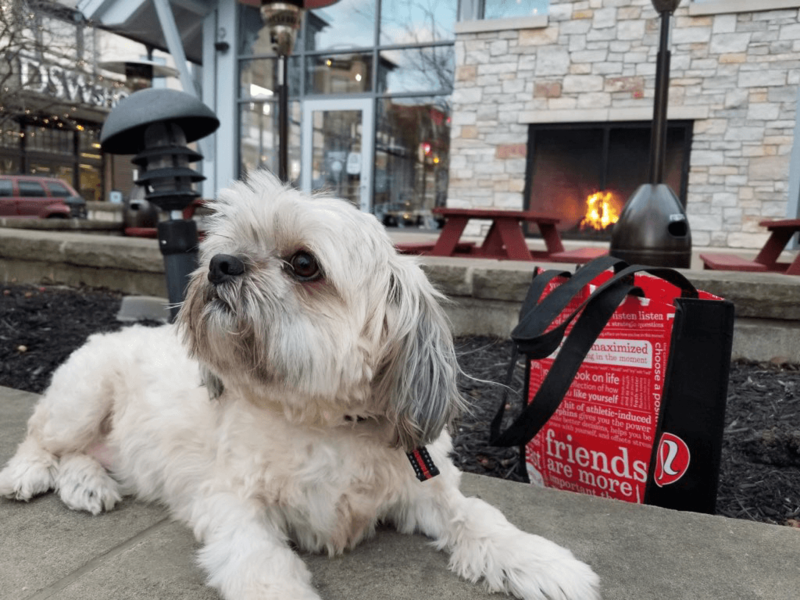 To celebrate National Pet Day on April 11, Stark Enterprises’ Crocker Park & Eton Chagrin Boulevard will introduce “Food & Fashion with your Furry Friend” pet-friendly campaign at both lifestyle centers. This campaign is to welcome all visitors and their pets while they shop, dine and play! Research has shown that owning a pet is a solution to relieve stress and loneliness in young children, elderly adults and every age in between. Both Crocker Park and Eton Chagrin Boulevard were built on the idea of providing visitors pure enjoyment to spark unforgettable memories and celebrating the pet-friendly movement is another way both are promoting that experience. Crocker Park in Westlake has over 75 stores and restaurant patios all pet-friendly and welcoming to pets and patrons alike. Any day of the week enjoy Crocker Park with your pet, as well as at fun events including a dog Easter Egg Hunt on April 14 and a Tricks and Treats dog costume contest on October 26. Eton Chagrin Boulevard in Woodmere has over 30 stores that welcome in pets, both inside the atrium and outdoors. Eton is surrounded by beautiful gardens, walkable sidewalks and lounging areas to make any trip enjoyable for visitors and their pets. Save the date for their community wide, family and pet-friendly event, “Sundae Sugar Rush” on July 21, where several dessert trucks will be stopping by at Eton for an afternoon full of sweet treats, music and Summer fun! An entire listing of all participating pet-friendly stores and patios for Crocker Park and Eton Chagrin Boulevard are located on their websites, crockerpark.com and etonchagrinblvd.com, at both Guest Services locations and paw print decals are posted outside of each participating storefront. Both lifestyle centers will be sharing any fun outings visitors post with their pets when they tag @CrockerPark and @EtonChagrinBlvd on Facebook and Instagram. Eton Chagrin Boulevard, located just east of the I-271/Chagrin Boulevard interchange, is a mixed-use property consisting of upscale retailers, specialty shops and exclusive dining. Special events, outdoor chessboards and an award-winning garden further add to the center’s unrivaled ambiance. For more information visit etonchagrinblvd.com.